Professor, geologist, author, and scientist famed for re-dating the Great Sphinx, will discuss the enigma of Göbekli Tepe, which belongs to an early cycle of civilization dating back to the end of the last ice age. Dr. Schoch’s latest research, put forth in his book, Forgotten Civilization: The Role of Solar Outbursts in Our Past and Future, points to the astronomical cause of the demise of antediluvian civilizations, as well as the scientific and archaeological evidence that supports his conclusions. Engineer, Historian & Educator Boris Fritz is an adjunct Professor of Engineering at Loyola Marymount University since 2001, and leading expert in nano-technology. He has also been a consultant to the Jet Propulsion Laboratory (JPL), and a speaker for many years at USC’s Department of Astronautics. His research papers have been published and presented worldwide. As well as a consultant in Additive Manufacturing (3D Printing). He retired in 2013 from Northrop Grumman Aerospace after 29 years. 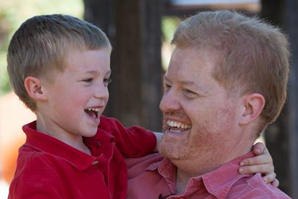 He has been involved in aerospace for the last 32 years and has 3 patents in that field. He was the chairman and founder of the national Nanomanufacturing Technical Group. 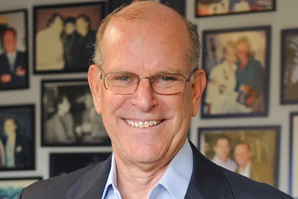 He has also been a consultant to the Jet Propulsion Laboratory (JPL), and is an annual speaker for many years at USC’s Department of Astronautics. He has been a speaker at many Universities and technical conferences in the US and abroad. His research papers have been published and presented worldwide. In 1998 he received the Outstanding Engineering Achievement Merit Award of the Engineers’ Council of California. Boris has been studying the Great Year for over 40 years. He is fascinated by ancient history and religions. He passed his Doctoral exams at UCLA in the fields of the History of Religions, the History of India, the Sanskrit Language, and the Ancient Near East. Included in his studies were the older Vedic Sanskrit as well as Old Persian (Gathic Avestan) and Pali, the language of South East Asian Buddhist Scriptures. He also has an M.A. in Asian Studies from Claremont McKenna University where he wrote his thesis on Pre-Tibetan Buddhist Tantrism. His B.A. is in Philosophy from Occidental College. He has been conducting services & meditations at the Self Realization Fellowship South Bay Center in Lomita, CA since 1971. He practices & teaches the Filipino Martial Arts and also studies Bukti Negara, an Indonesian Martial Art. Jason Martell recently garnered worldwide attention by recreating a working model of one of science’s most prolific mysteries – the “Baghdad Battery.” Residing in the National Museum of Iraq, the discovery of this 2,000 year old device suggests the modern day battery was not invented in 1800 by Count Alassandro Volt, but was invented almost two centuries earlier. Mr. Martell’s recreation was instrumental in proving the Baghdad Battery was capable of generating current. All the ancient cultures speak of a time when they had a connection with beings not from earth, beings that were both spiritually and technologically more advanced than we are. Lecturing throughout the world, Mr. Martell has dedicated his studies to ancient artifacts and the Sumerian culture by using the latest in scientific research, supporting evidence and data. He corroborates his findings with principal scholars such as Zecharia Sitchin and Naval astronomer, Dr. Robert Harrington. Mr. Martell holds regular discussions with NASA scientists on the subject of Planet X, Ancient Astronauts and the structures on Mars. 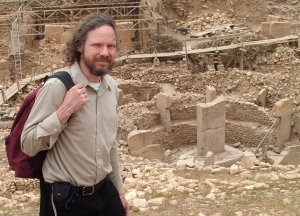 For over 15 years, Mr. Jason Martell has been one of the leading researchers and lecturers specializing in ancient civilization technologies. Mr. Martell’s research has been featured worldwide on numerous television and radio networks such as The Discovery Channel, The History Channel, Sci-Fi Channel, the BBC and others. Today, Mr. Martell is working on his next scientific recreation of ancient technology based upon data obtained from Sumerian cuneiform cylinder seals from 3000 BCE. He is also in the planning stages of several international research expeditions which will focus on gaining access to ancient Sumerian artifacts, and other archeological relics not currently accessible to the public. A charismatic cross between Indiana Jones and the Crocodile Hunter, Gary Evans has been investigating earth mysteries for more than twenty years. From studying sound acoustics inside the Great Pyramid to exploring Moray, an ancient site high up in the Andes mountains of Peru, his work has taken him to some of the world’s most fascinating and mysterious places. When not exploring, Gary helps to promote greater awareness of ancient mysteries by working as a PR agent for a number of best-selling alternative science authors. Since 2010, he has been coordinating and leading tours to Egypt, Malta, Ireland, England, Scotland, India, Peru, and Bolivia. Gary is working on a new TV show treatment, “Places Of Power – Unlocking The Mystery Of The Planets Most Sacred Sites”. Gary also works to promote conferences in the US and Europe such as CPAK, Awake and Aware, Megalithomania, Paradigm Symposium, and the Eternal Knowledge Festival. Walter will provide an overview of the cycle of the ages, look at some of the recent astronomical discoveries that point to a new understanding of our solar system that is more in line with ancient thinking (including the Caltech confirmation of a large gravitational pull on one side of our solar system), look at a few archaeological sites and artifacts of different ancient epochs, and relate these to possible levels of consciousness as described in the myth and folklore of ancient Greece and India today. The talk will include new slides and findings from the Binary Research Institute. Cruttenden is a researcher of ancient cultures, author of the books Lost Star of Myth and Time and Great Year Adventures and the writer producer of the award winning documentary The Great Year, narrated by James Earl Jones. 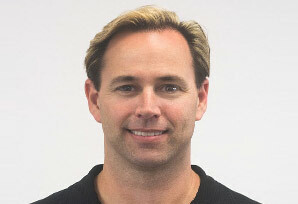 He presently serves as Founder/Chairman of Acorns the fastest growing investment app, Director of the Binary Research Institute where he explores the cause and consequences of solar system motion, particularly the “precession of the equinox” according to modern science and ancient cultures. He is the founder and director of the annual “Conference on Precession and Ancient Knowledge” (CPAK) and he hosts the radio show and podcast, “The Cosmic Influence”. Ancient peoples were just like you and I. They were operating off the same hardware (mind, brain, and consciousness) but were utilizing slightly different software. One chief component of this software was orality. Ancient people did not read or write, and even when writing was introduced sometime in the mid-fourth millennium BCE it took numerous centuries for literate consciousness to replace oral consciousness. How do oral peoples pass down complex information without writing? Most people think they had no complex information to pass down. This is errant. Lundwall’s presentation discusses the strategies of the oral memory theater, how complex information is transmitted using memory maps encoded on natural objects and especially upon the stars and constellations. These memory maps are then correlated onto the pantheon of deities and incorporated into the religious festivals and rituals of the people. 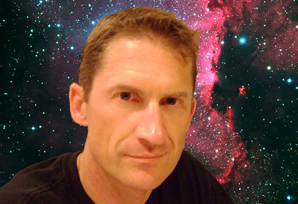 David Mathisen is the author of The Undying Stars and of the recent multi-volume series Star Myths of the World and how to interpret them. He writes about the evidence that the world’s myths, scriptures, and sacred stories are based on a common system of celestial metaphor — and the evidence that the same system can be found operating in virtually every story and episode in the Old and New Testaments of the Bible. This field of study is sometimes referred to as “astro-theology,” although that term has also been used by different people to refer to something different. The very strong evidence that a universal system of celestial metaphor can be found in the sacred traditions of virtually every culture around the globe, and stretching across millennia back to the most ancient Pyramid Texts and cuneiform tablets right up to the living traditions passed down in cultures who have preserved their sacred stories into modern times, reveals significant problems with the conventional view of human history. In addition, David shows how the understanding of the celestial language used in the ancient myths can open a door to new understanding of the knowledge that the myths were designed to convey to us — and that their message has profound relevance for our lives right now, wherever we are. Scott Onstott wrote, narrated and produced the Secrets in Plain Sight film series and is the author of seven related books examining patterns in art, architecture, urban design and the cosmos. One of Scott’s passions is illustrating the many layers of encoding found in the Great Pyramid, a world wonder that still has much to teach us about the comprehensive and extraordinary wisdom of the ancients. 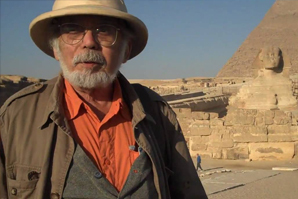 John Anthony West is a writer, scholar, Pythagorean, and rebel Egyptologist, having traveled to this region more than 100 times. He is the author of The Traveler’s Key to Ancient Egypt, and consulting editor for the Traveler’s Key series. His previous book, Serpent in the Sky: The High Wisdom of Ancient Egypt is an exhaustive study of the revolutionary Egyptological work of the French mathematician and Orientalist, the late R.A. Schwaller de Lubicz. In The Case for Astrology, John Anthony West presents compelling new evidence that corroborates the astrological premise: that correlations exist between events in the sky and on earth, and that correspondences exist between the human personality and the positions of the planets at birth. Mr. West has published a novel and many short stories; his plays have been produced on stage, television and radio, and he writes articles, essays and criticism for The New York Times Book Review, Conde Nast’s Traveler and other general interest and specialized newspapers and magazines in America and abroad. He won an EMMY Award for his 1993 NBC Special Documentary The Mystery of the Sphinx, hosted by Charlton Heston. The ancient Egyptians themselves attributed their wisdom to an earlier age going back 36,000 years. West set out to test the hypothesis that the Sphinx was much older than its conventional date of 2500 BC. His findings provide the first hard evidence that an earlier age of civilization preceded the known development of civilization in the Nile valley. John Anthony West is today the leading authority and proponent of the ‘Symbolist’ school of Egyptology, an alternative interpretation of ancient Egyptian culture advanced by the French scholar and philosopher, R.A. Schwaller de Lubicz (1891-1962). 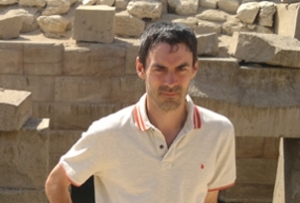 John will show that Egyptian architecture and art disclose a richer and more universal wisdom than conventional Egyptology has assumed. 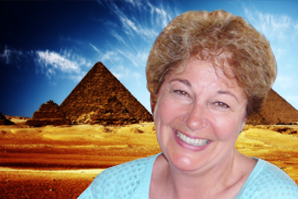 Dr Carmen Boulter is Director, Producer, and Writer of The Pyramid Code, an epic 5-episode documentary series that has aired on national TV in 38 countries and is on Netflix in 7 countries. Carmen is a retired Professor from the Graduate Division of Educational Research at the University of Calgary. She taught at a Chienkuo Technology University in Taiwan for 4 years. She was Founder and Director of the Women’s Therapy and Research Center in Calgary, Canada. Carmen has been involved in all aspects of the vision and development of Interactive-U.com, an Online Learning and Social Action Network. 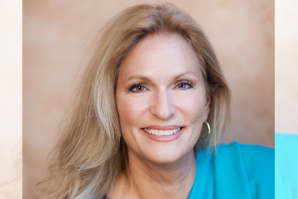 Carmen is the author of the ground-breaking book Angels and Archetypes: An Evolutionary Map of Feminine Consciousness. She is working on an exciting new 5-part documentary series called The New Atlantis filmed in 10 countries. 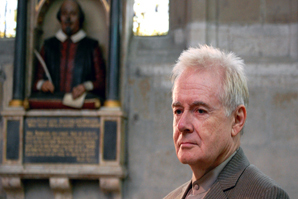 Alan Green is a British-born pianist, composer, author, educator, and Shakespeare scholar. His former life in the music business (top thirty Billboard artist in the 80’s with Arista and CBS records; author of award-winning books on The Monkees; musical director for Davy Jones) seems at odds with his current incarnation as a documentarian of ancient wisdom. But he insists his extensive musical training in both classical and jazz disciplines has ideally prepared him to recognize deeply embedded patterns that orthodox academics have missed. His odyssey began 12 years ago when a friend introduced him to the Shakespeare Authorship mystery. Convinced there were genuine reasons to doubt the official attribution of the untraveled, uneducated Stratford man, Green spent the next two years of intense research crafting his findings into a stage musical entitled Bard. As his research and intuition for the subject deepened however, he discovered dozens of Freemasonic codes embedded in Shakespeare’s monument and gravestone. It was clear the story had all the secret society ramifications and political intrigue of a Dan Brown novel — with one important difference. These codes were real. In fact they’d been specifically laid out geometrically so as to prove their authenticity by revealing a stunningly accurate web of twelve of the world’s most significant mathematical constants. Most astoundingly of all, they gave the precise geographic co-ordinates of the Great Pyramid, along with instructions for decoding the exact same web of constants within its basic proportions. Green will unveil two ground-breaking books at CPAK. Dee-Coding Shakespeare details the first half of his 12-year journey. It shows the critical role the leading Renaissance mathematician/cryptographer Dr. John Dee played in the greatest literary cover-up of all time. 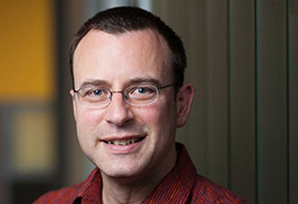 Professor Michael Delahoyde of Washington State University proclaims it, “The best, most exciting breakthrough I’ve seen in all my years as a Shakespeare scholar”. The sequel, Shakespeare’s Hieroglyph (The Universal Constant of Measure for Measure for Measure), is the second shoe dropping. It presents not only previously unknown proof of the twelve constants the Bard predicted, but unveils a unification of the world’s leading measurement systems elegantly encoded into the pyramid’s design. This mathematically pure Universal Constant of Measure shifts two paradigms… with one stone. 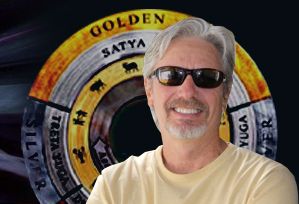 Satyaki (Kraig) Brockschmidt is an author (Mystic Microsoft, Finding focus, etc. ), Microsoft engineer, public speaker, meditation and yoga instructor, and Chairman of the Ananda College of Living Wisdom. Between his two tenures at Microsoft he spent twelve years volunteering, traveling, and serving in over one hundred distinct roles and professions, including forestry, cooking, construction, ministry, mechanics, singing, and appearing in the movie Finding Happiness, and on National Public Radio. Such diverse experiences along with his meditation helped Satyaki develop deep empathy as well as the ability to see unique solutions to divisive questions. He is known as a synthesizer, able to distill a simple, coherent, and unifying story from many disparate details, as expressed through his Microsoft work, his various books, and papers and essays available on his website. Synopsis: Participating in the Cycles of the Ages, Today. It’s fun, instructive, entertaining, and certainly inspiring to learn about the Cycle of the Ages, explore ancient knowledge, and realize that the ancients knew more than we imagined! Yet it’s not all just academic or something that happened to other people in some other time:we ourselves are right now living right within that great cosmic cycle. How, then, can be we be active participants in the unfolding story of our ascending age, attuning ourselves to its upward trends and expanding awareness? How can we also attune ourselves to the perception of the ancients,helping us unlock further insights from ancient and modern sources alike? With anecdotes and observations from history, current research, and his own wide-ranging experience, Satyaki will explore approaches such as cyclical vs. linear thinking, having faith in the Great Year, remembering where we are in the Great Year, raising energy awareness, seeing unity in diversity, and balancing analytical thinking with calm feeling, perception, and intuition. Religions and spiritualists throughout history have attempted to explain the dual nature of humankind: We humans behave as members of the animal kingdom, committing acts of violence, fear, and competition. Yet we are also capable of reaching the heights of compassion, beauty, and enlightenment. “Merging With Flesh: Our Mysterious Human Origins” compassionately and deeply explains this dual nature by taking us into our little known beginnings as a new species within the universe. We will explore a far distant past in which an emerging Earth and its life forms, became the object of interest of another highly creative and intelligent non-physical species. Ms. Meredith will describe how this species and Earth’s life forms became entangled to spawn incomprehensible challenges, dynamic contrasts, and profound opportunities for growth. This awareness of our origins will allow us to more effectively choose and develop other remarkable, future-oriented human powers. 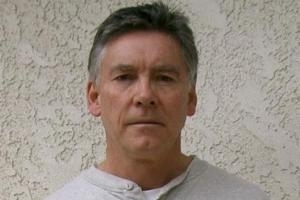 Craig Marshall began as a child actor in Hollywood, performing in television shows and commercials. He graduated from USC Film School, and then his life took a left turn. He became a yoga monk with Self-Realization Fellowship, where he lived in a monastery for 35 years. As respected swami, Craig traveled the world, lecturing to large audiences on the subjects of mindfulness and meditation. He became a mentor to many well-known people and wrote several books and media programs on how to live a meaningful life. 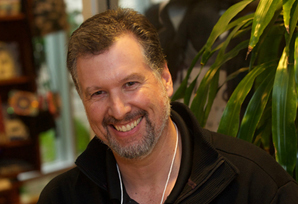 Today, Craig is a sought after public speaker, personal consultant and co-author of the book, The Next You.